Lean manufacturing stems from the Toyota Production System, which was developed by Japanese industrial engineers Taiichi Ohno and Eiji Toyoda to streamline processes. Because of this, many terms used in the Lean world are Japanese, and there’s a lot to remember. Here is quick and easy guide to get you started on the basic Lean phrases, and exactly what they mean. Kanban: “Signboard”, “billboard”. A system utilizing visual cues to signal when a particular action should occur. Kaizen: “Change for the better”. The philosophy and practice of continuous improvement. Gemba: “The real place” Refers to the specific place where work is performed. This could be the assembly line, shipping department, warehouse, sales office, etc. Genchi Genbutsu: “Go and see”. Concept meaning the leadership team needs to go and see a problem for itself in order to gain a complete understanding of the issue. Shojinka: “Flexible manufacturing”, “flexible staffing”. The idea that workers are multi-skilled and can work multiple stations in the production chain. Obeya: “The room”, “big room”. A physical room using visual cues to make the decision process simpler and more effective. Baka Yoke, also referred to as Poka Yoke: “Mistake proofing”, “inadvertent error prevention”. A technique for building mechanisms into a process that prevent people from making mistakes. Heijunka: “Production leveling, “production smoothing”. The process of leveling out the type and/or quantity of production over a set amount of time. Jishuken: “Self-study”, “autonomous study groups”. A manufacturing activity that encourages managers to learn more about the processes they are specifically responsible for, and how it can be improved. Chaku Chaku: “Load load”. A process to look at the manufacturing process, automate process that can be automated and ensure all machines are arranged in the most efficient way. Hansei: “Self-reflection”. The notion that being honest with your own weaknesses will eliminate its reoccurrence. Even in instances of success, or seemingly no problems, it’s important to still reflect on what can be improved, so you can really aim for zero waste. Hoshin Kanri: “Direction management”, “policy deployment”. A type of planning to help businesses keep sight of larger goals while also handling day-to-day work. Jidoka: “Autonomation”; Toyota also define it as “automation with a human touch”. A feature of machine designed to detect and correct issues that otherwise might have been overlooked. Yokoten: “Across everywhere”, “best practice sharing”. A concept that encourages communication of information and knowledge across the whole company to avoid future errors. Kaikaku: “Radical change”. An approach of making radical changes to achieve significant improvements and is generally focused on large scale changes. The 3 M’s (Muda, Mura, Muri): Categories of waste in Lean manufacturing. Muda: “futility; uselessness; wastefulness”. Includes time lost, excessive production, unnecessary transport, non-essential movement, etc. Mura: “unevenness”, “irregularity”. Inconsistent production levels that can lead to frequent equipment failures, employee burnout, and more. Muri: “Beyond one’s power”. Refers to employees or equipment that have been overburdened. 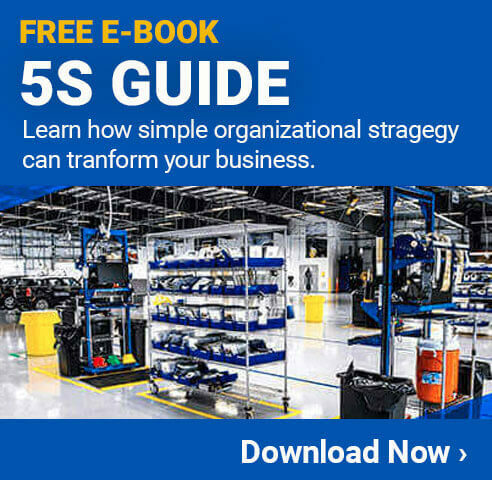 The 5 S’s: 5S (sometimes referred to as 6S) is a systematic form of visual management to achieve efficiency in 5 steps. The 5S’s in Japanese are 5S’s in English too, it’s easy to remember!